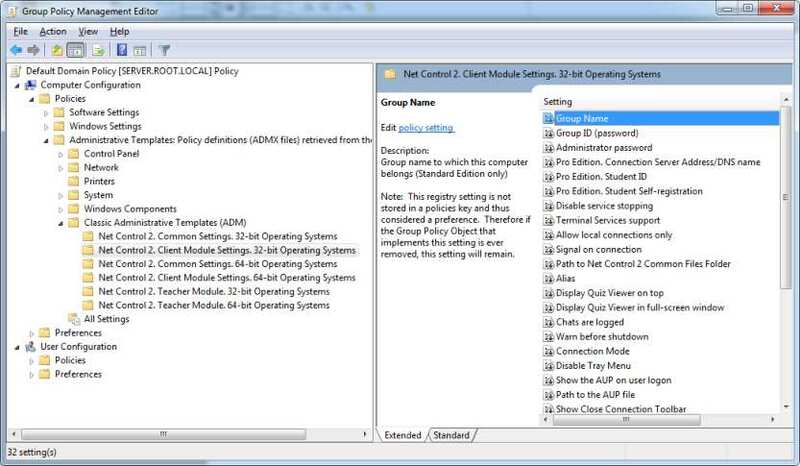 Several settings of Net Control 2 Client and Teacher modules may be set up remotely using Active Directory Group Policies of Windows Server 2003-2008R2. 2. Open the Group Policy Management console: for Windows 2008/R2 click Start -> Administrative Tools -> Group Policy Management. 3. Select a policy where the settings should be deployed. For example Default domain policy. 4. 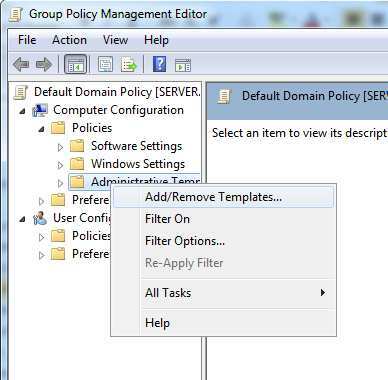 Right click it and select Edit menu command to open Group Policy Management Editor. 5. At left pane select Computer Configuration -> Policies -> Administrative Templates. All settings will be applied after restart of client computers.